So, let’s talk about how much of this critical fat-soluble vitamin we need, and how you can get enough. The three ways to vitamin D are exposure to the sun, consuming vitamin D containing food, and through supplements. Your skin makes vitamin D when it’s exposed to the sun; that’s why it’s referred to as the “sunshine vitamin.”How much vitamin D your skin makes depends on many things. Location, season, clouds, clothing, all affect the amount of vitamin D your skin can produce from the sun. One standard recommendation is to get about 5–30 minutes of sun exposure between 10:00 a.m. – 3:00 p.m. to the face, arms, legs, or back. This should be done without sunscreen, at least twice a week.Of course, we should always avoid sunburns and of course in some locations (and seasons of the year) it’s not easy to get sun exposure. So, how can we get enough vitamin D in other ways? Some foods are “fortified” (which means vitamin D has been added) with vitamin D. These include milk, some orange juices, breakfast cereals, and yogurt. It will say on the label how much vitamin D has been added per serving. Because vitamin D is fat-soluble, you can increase absorption of it from your food if you eat it with some fat (healthy fat, of course).Between sun exposure and food, it still may be difficult to get even the minimum of 400 IU of vitamin D each day; this is why vitamin D supplements are quite popular. Vitamin D is an essential fat-soluble vitamin which; many people have a hard time maintaining adequate levels of vitamin D. There are three ways to get enough vitamin D: sun exposure, through certain foods, and in supplements. 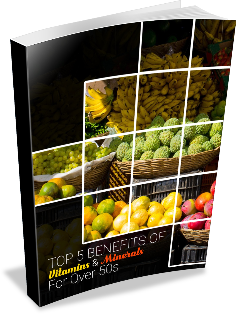 I’ve given you some ideas how you can get the minimum 400-600 IU or vitamin D daily. Preheat the oven broiler and raise the oven rack. Place parchment paper on a baking sheet and place fish on top, skin-side down. Surround with a single layer of asparagus. Sprinkle the fish and asparagus with sea salt, pepper, parsley, and dill. Drizzle with olive oil. Broil for 8-10 minutes until fish flakes easily with a fork.